Rest and Relaxation at Sea – Cruise ships are floating resorts, amusements parks at sea, restaurants and nightclubs with the endless horizon as the backdrop to an experience like no other. With cruise ship companies and cruise lines such as Royal Caribbean, Carnival, Princess, Regent Seven Seas, and others taking to US and International waters. the chances for unexpected mishaps can occur. Just like airlines, railway operators, and bus lines, cruise ships can experience mishaps that can lead to personal injury, damage, and even wrongful death due to negligence, wrong doing, or mechanical flaws. Contrary to trains, planes, and automobiles, cruise ships offer much more when it comes to passenger satisfaction. When a passenger boards a plane, train, or bus, he/she simply expects to reach their destination safely and perhaps enjoy a good meal. When it comes to boarding a cruise ship and setting out to sea, passengers are more interested in the entertainment the cruise line has to offer. Today, cruise ship companies go all out to make sure their passengers have as much fun as possible and thus, they include swimming pools, dance floors, restaurants, adrenaline rides such as bungee cords, trampolines, diving boards, roller coasters and much more. In fact, some cruise ships companies offer two floor suites with staircases, hot tubs, and many more amenities. 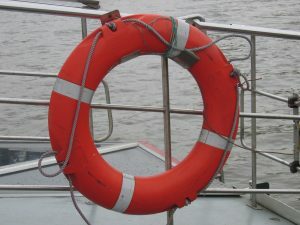 This all sounds very tantalizing and thrilling, but the truth is that passengers aboard these floating resorts sometimes get hurt, with the cruise ship operator legally responsible liable for injuries, damages, and compensation for the passenger’s losses. 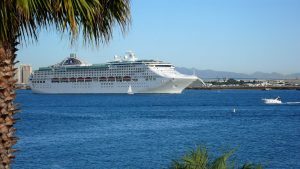 MIAMI CRUISE SHIP ACCIDENT LAWYER – PERAZZO LAW SERVES VICTIMS OF CRUISE SHIP ACCIDENTS ABOARD ROYAL CARIBBEAN, CARNIVAL, PRINCESS, WINDSTAR, AND OTHER CRUISE LINES. 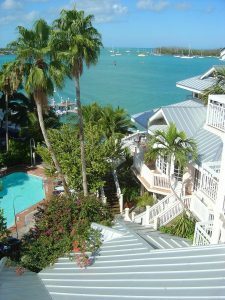 THE BAHAMAS: Fire swept through the Princess Cays Resort this past Monday night and struck panic among hotel staff and local residents. With an average of five Princess and Carnival cruise ships docking every week at the south port of Eleuthera Island in the Bahamas, yellow and red flames lit-up the night sky alongside beach chairs and umbrellas. Luckily, local firefighters and local staff were able to get the fire under control in just over an over. Princess Cruises reported no injuries and thanks to no passenger ships docking that day, there were no guests at the resort. Unfortunately, the flames were enough to damage several buildings across the 40 acres of land owned by the Princess Cruises Company, which last year renovated the Princess Cays Resort and added a marina. The cruise ship Carnival Pride, along with its 2500+ passengers, was scheduled to arrive but had to set a new course for Half Moon Cay because of the damage the fire left behind at Princess Cays. It is still uncertain what led the blaze at the Bahamas resort.